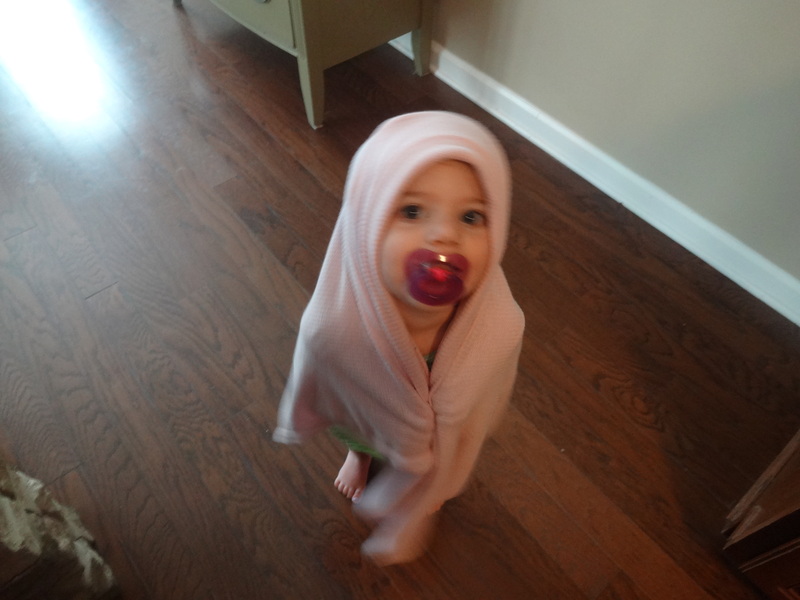 She loves that pacifier and blanket! They go (almost) everywhere we do. The blankie, I don’t mind. But that pacifier needs to go! I keep saying to her, ‘you don’t need a pac’. And she wants it. Mark keeps saying she DOES need it!?!? I guess we will (are) waiting till she is two…? 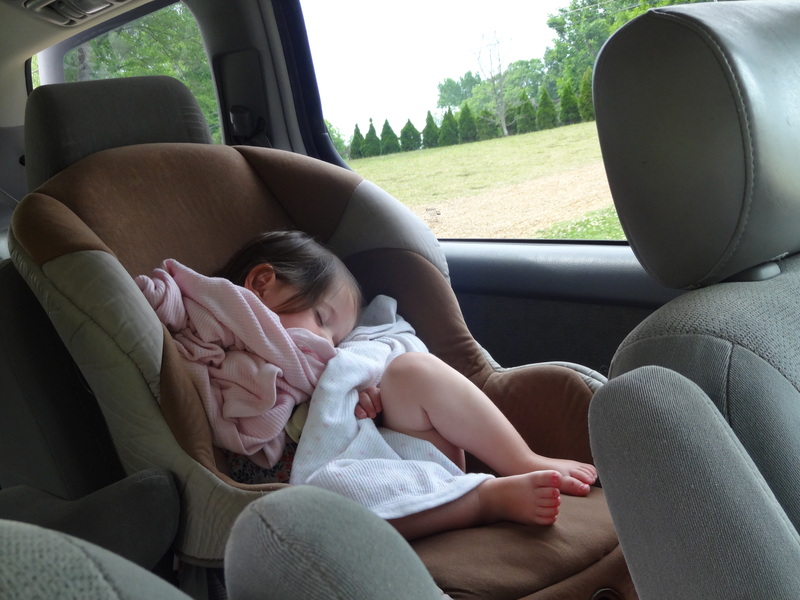 Put her in a big bed, take a road trip and lose the paci! 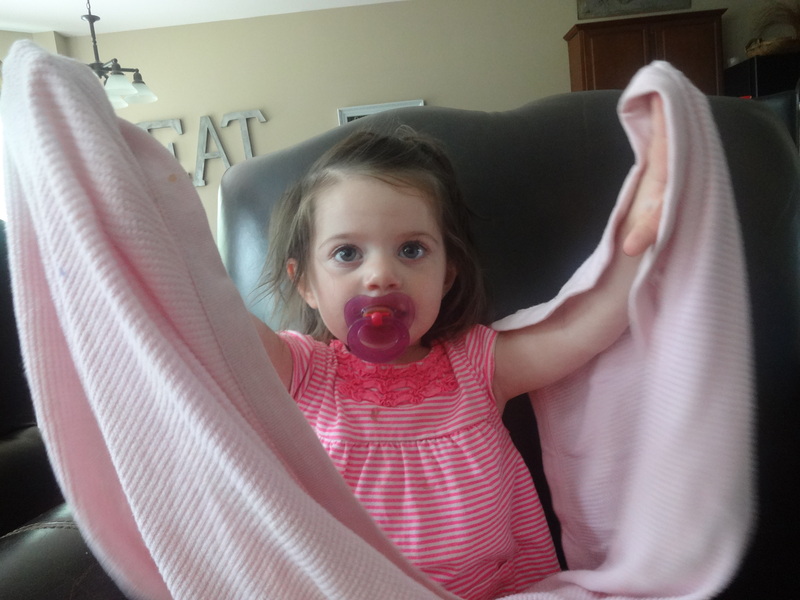 A girl and her blankie and her paci. Goodness, how many things can you get attached to? Another reason Maddox and Meredith are similar they are the pacifier babies in this house. Maddox had a blanket that he preferred until he was two and we took the paci then he never wanted his blanket anymore. Tanner is a whole different story! He is never giving up his blanket. He takes it everywhere. Still. It is falling apart and has many, many holes in it. Meredith likes these little thermal knit blankets. I think she would take any as long as it is the same style. She has two that she likes to sleep with. She wads them up and holds them against her little cheek and rubs the edges. Babies are so cute. She has 4 teeth now!! Yay, finally. 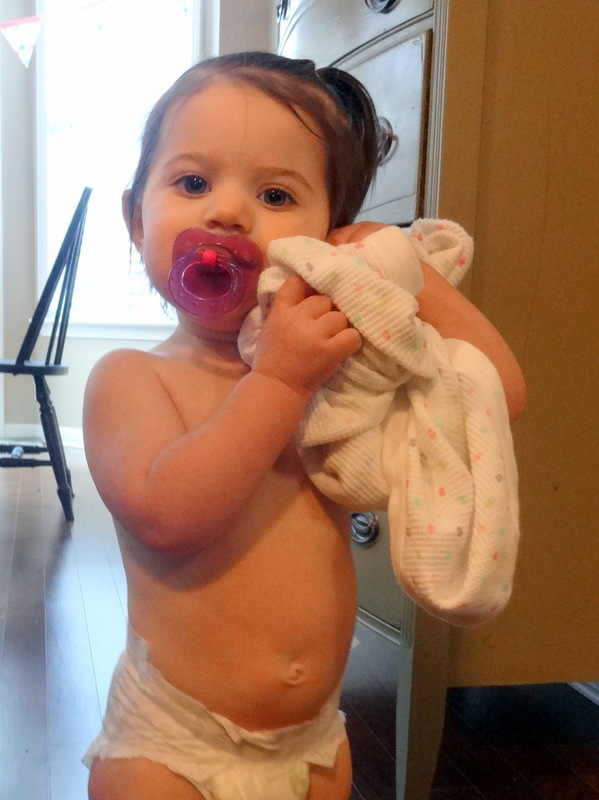 BUT we need to take her paci and I’m sure I want to do that yet. She likes it for sleeping. And sleeping is important.